This month, we invited to Dr. Ji Young Kim and her son Jong-Nam, a young man with multiple disabilities, for their special story. Dr. Ji Young Kim currently works with CIDA as an Education Specialist. Q1: What can you tell us about Jong-Nam Kim? A: Jong-Nam Kim, who is a twenty-five year old individual with multiple disabilities, likes music and enjoys meeting people. 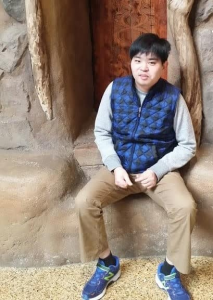 Although he has several disabilities such as intellectual disability, seizure disorder, and mild cerebral palsy from childhood brain damage, he has a pure, good heart and sparkling eyes like he were still three years old. Most people from Jong-Nam’s school knew him and gave him a warm greeting because he always went to people and shook their hands to greet them as he likes meeting people. Jong-Nam no longer goes to school after K-12 and stays at home with me, but even now, he asks me to invite people whom he has met outside for the first time to our house as a friendly gesture. Jong-Nam also likes helping others, so he often introduces himself as a police officer, a doctor, a singer, and a minister. As a parent, I could contemplate about innocence and purity that many adults tend to have forgotten or lost with their age, seeing how purely Jong-Nam treats others with his childlike heart regardless of his age. Thanks to Jong-Nam, it was possible for me to have that life lesson. Q2: What are the challenges that Jong-Nam Kim and your family face these days? A: The most challenging part is Jong-Nam’s status. All of our family members successfully got citizenship a few years ago, but only Jong-Nam was refused for it because of the mistakes that a lawyer had made several times. After all, it is on the process of review at USCIS, but to this day which is five years after his high school, I have had to give up on my career and to sacrifice myself to take care of Jong-Nam everyday. It has been difficult and exhausting for our family to carry all this burden without any help or services from the government for the last five years. We hope that Jong-Nam can get the citizenship soon and other family members can have their own independent lives. Q3: Would you like to say anything to the community? A: When Jong-Nam was in K-12, it felt like the school was the whole world. However, there was another whole new, real world after Jong-Nam finished K-12. I could see the life path that Jong-Nam faces in the future would be longer, harder, and more complicated than the one from K-12. When he was in school, teachers and parents could be the safety net for him, but in “the real world,” he should be able to protect himself and to do certain things on his own. As a parent who has a child with disabilities, I think my job is to make the community a better place where individuals with disabilities can live without difficulty. It is not just about raising my child but about changing the community culture and the atmosphere where individuals with disabilities, like Jong-Nam, can happily live without discrimination based on their disabilities. I hope that the community becomes a place where both individuals with disabilities and their families can live more independently and happily with substantial support and a mature attitude towards others. I also hope that families that have people with disabilities as family members can make a voice together in order to create change in the community. Q4: Would you like to say anything to CIDA? 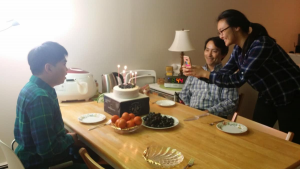 It has not been a long time since I found CIDA, but I have a lot of hope for the organization as it is necessary for Korean-American families who have family members with disabilities. First of all, I hope that CIDA can be the representative alliance that delivers the Korean-American families’ needs and voices to the community. As my child grows up, I realize that it is impossible for a family to support the child without help from outside. 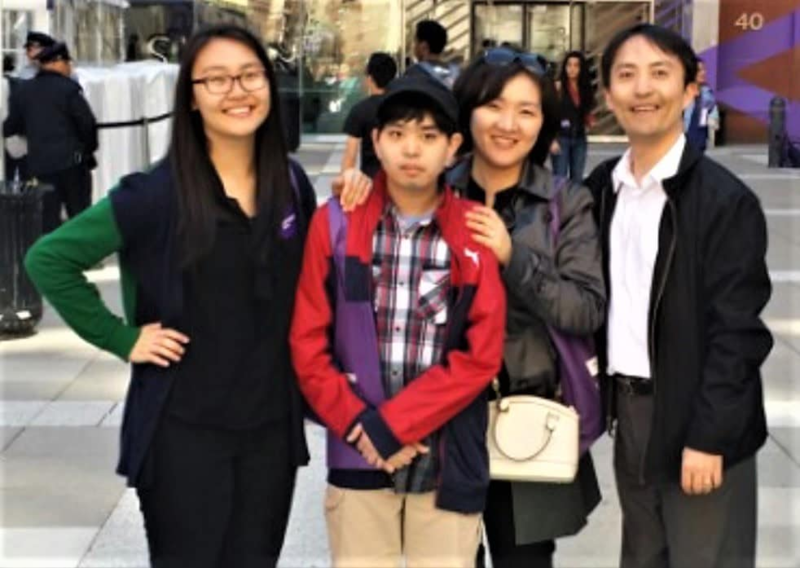 The representative alliance for Korean-American families as the minority is critical in that, through its function, the community can know what families with a person with a disability want and need. There are many places that provide daily care services, but I believe that there is no other place that empowers parents and bands them together. I hope that CIDA can play a role in creating Korean-American family solidarity. Second of all, I hope that CIDA continues educating and empowering parents, so that the parents can raise their own children with ample knowledge and experiences regarding special education. I know CIDA has been working for the goal already, but I hope it will grow more and more to the point where all families including individuals with disabilities, their parents, and their siblings can develop their capabilities. Lastly, I hope that as CIDA has pursued, it can continue taking on the significant tasks of connecting Korean-American families with individuals with disabilities in order to integrate them into their communities.